Entomologist Justin O. Schmidt is on a mission. Some say it's a brave exploration, others shake their heads in disbelief. His goal? To compare the impacts of stinging insects on humans, mainly using himself as the gauge. 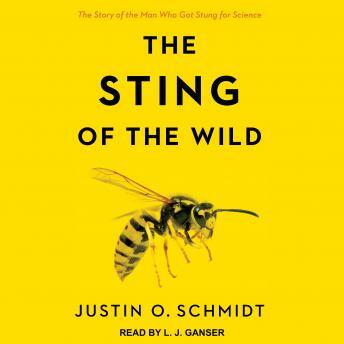 In The Sting of the Wild, the colorful Dr. Schmidt takes us on a journey inside the lives of stinging insects, seeing the world through their eyes as well as his own. He explains how and why they attack and reveals the powerful punch they can deliver with a small venom gland and a 'sting,' the name for the apparatus that delivers the venom. We learn which insects are the worst to encounter and why some are barely worth considering.